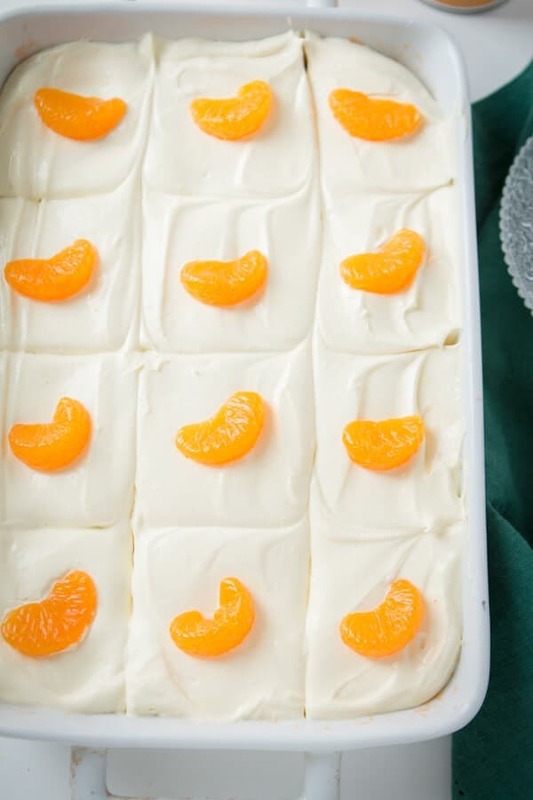 I grew up with this lemon mandarin orange jello salad at almost every single Thanksgiving and though I skip the shredded carrots this is a classic. Jell-O salad (also called gelatin salad, jelly salad, congealed salad, or molded salad) is a salad made with flavored gelatin, fruit, and sometimes grated carrots or more rarely, other vegetables. 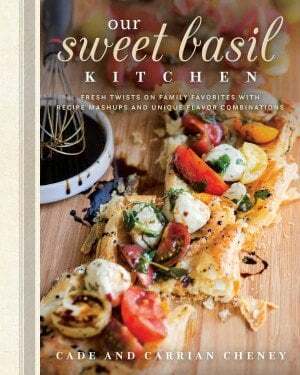 Other ingredients may include cottage cheese, cream cheese, marshmallows, nuts, or pretzels. I love jello and I know that someone out there, most likely Cade is totally rolling their eyes because I am a grown woman, but it’s the truth and I’m sticking to it. Aside from being a tasty low-calorie snack, Jello is good for weight loss in other ways. The main way is that it helps weight loss is by regulating blood sugar. In fact, gelatin has been used as a remedy for diabetes for over 100 years! Is Jello Salad a Dessert or a Side? Do you think of jello dishes as desserts/treats or as salads? Whenver it is served with whipped cream and marshmallows, it is a dessert. It’s more than just a regular jello salad dish, and yes, I realize it should probably be a dessert, but we did in fact serve it as a side dish when I was little so I serve it as a side today as well. 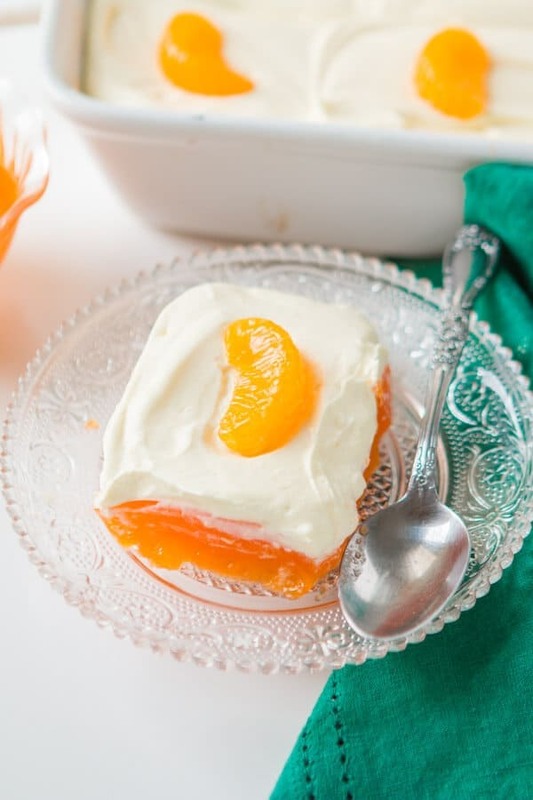 The orange jello is actually made with frozen orange juice which gives it more flavor and thickens the jello up a little. 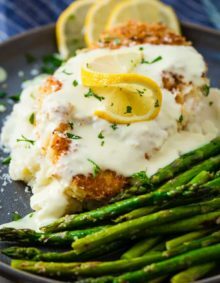 My favorite part was the lemon topping which is just a lemon pudding mixture, and I have to say, it’s so important that you remember to use instant pudding powder and not the cook and serve. It wont set up the same so make sure you buy the correct box. In the orange jello, and this was for sure my second favorite part, there are little mandarin oranges floating around. 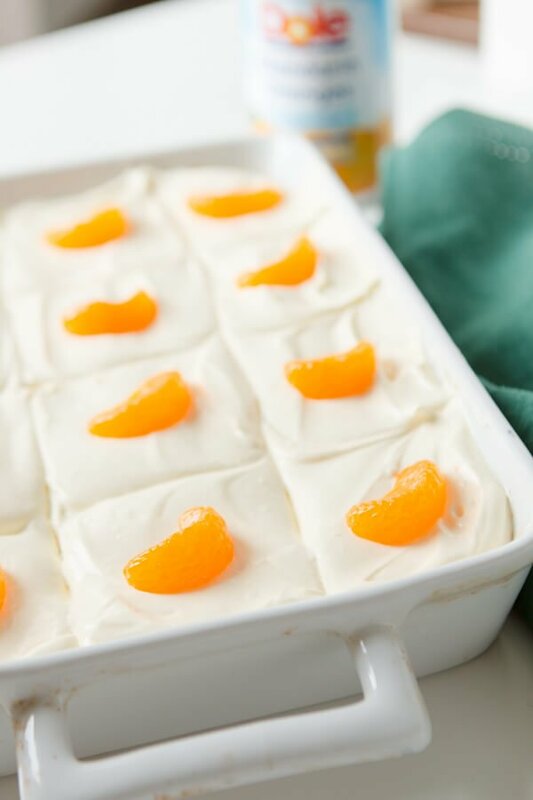 Our kids love mandarin oranges so this jello is now one of their favorite recipes as well. I’m curious, how many of you grew up with jello on your dinner table or at holiday meals? Mix the boiling water with the jello in a 9x13" pan until all of the granules are dissolved. Add the frozen concentrate and 1 can mandarin oranges with whatever juice is remaining and stir to combine. Place in the fridge until set, about 3 hours. In a bowl, combine pudding and milk until thick. Fold in the whipped topping and spread on the jello salad. Place remaining oranges on top as garnish and chill for about 20-30 minutes until set. 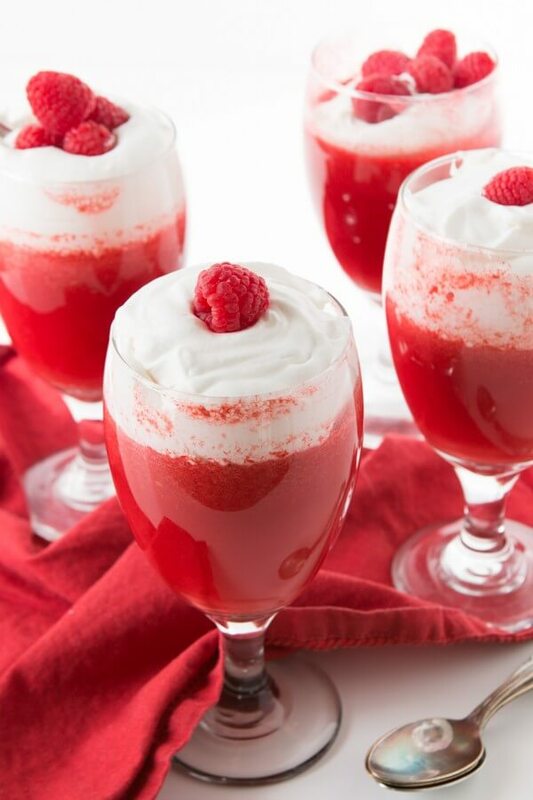 Raspberry jello fluff just like Mom always made for Sunday dinner when I was a kid and now my kids love it too! so incredibly yummy! Looking for another jello salad recipe? 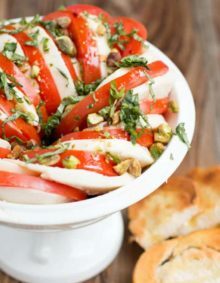 Try this ambrosia salad! Or this cranberry salad! My mom used to make a congealed salad with orange jello, crushed pineapple, carrots, and pecans. She always served it when she made chicken and dumplings, but with other meals, too. I love it too this day. 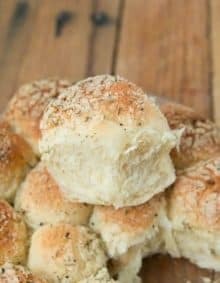 This recipe more than any other reminds so many people of their childhood. I just love it! Thanks for sharing a piece of your story with us! We’ve had this delicious orange salad at holidays since 1986 or maybe even longer! It’s a must and now my sons have made this their family tradition at holidays. All of our immediate and extended families have loved this as a side dish…and the next day if there’s any left! We never have any left over either! So good! Thanks for the comment, Sue! I grew up with jello at every holiday! Lime with pineapple chunks and shredded carrots made in a glass loaf pan. One way to get us to eat veggies ☺️. Recipe from 1950’s. It was years later in life I found the recipe book my mother got the recipe from. Mom’s gone but I still enjoy the memories of her love of cooking for her family of 11 children. She was an amazing cook! It’s the little things that matter. 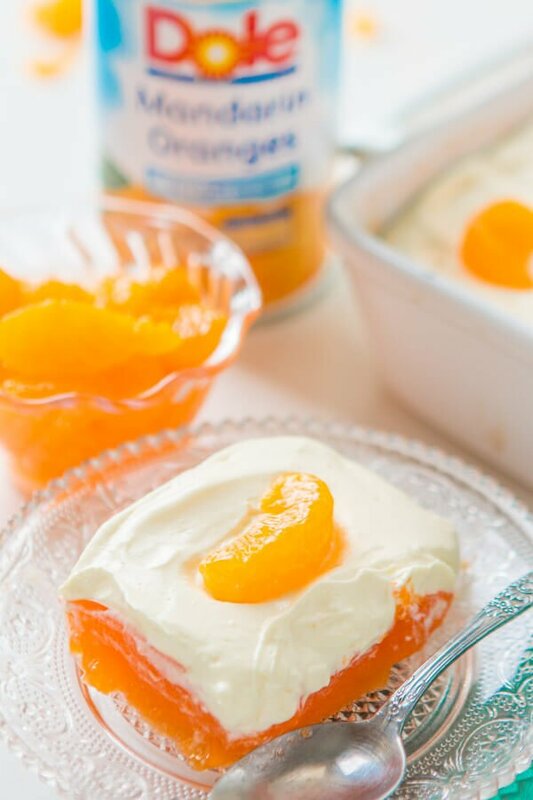 Your orange jello looks delicious… Pinned! This is so sweet Lynn! Thank you for sharing! That is one of the things I love most about food and cooking. They carry such memories and meaning! Hope you enjoy this one! It is so tasty! Thanks LaRue! I don’t understand your measurements on the orange juice . Also on the Mandarin oranges. Am excited to try this. You want half of a 12 oz can of Dole Frozen Orange Juice Concentrate (so 6 oz) and one and a half cans of Dole Mandarin Oranges (11oz size cans, so about 16-17 ounces of oranges). Enjoy! Well my family’s traditional Jello salad is called “ Sunshine salad “ and as northerners we look forward to it at Easter dinner . Orange Jello , drained crushed pineapple , fresh grated carrots . My grown children long of it every Spring . It’s ymmy – give it a try . 2. You buy two cans (11 oz each) of mandarin oranges. 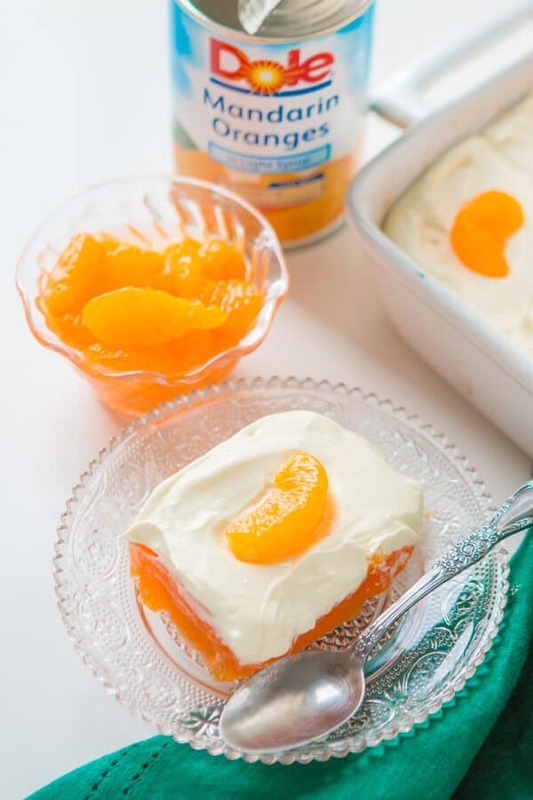 Use one 11 oz can to add to the 6 oz of oj and then 1/2 can of mandarin oranges on top of cool whip? Wow, that looks so good! Thanks for sharing the recipe. I also grew up with a jello salad served as a side dish on Thanksgiving, but ours was blueberry salad. I think it was made with blackberry jello if available (or a mix of black cherry and grape if not), blueberry pie filling, and crushed pineapple. The topping was a mix of cream cheese, sugar, and cool whip, I believe. Definitely a family favorite! That sounds pretty much like heaven! Hello there , this looks amazing gonna try it but need more feedback on step #2 , do I add the concentrate with the can of mandarins together then with step 1 ? Thank you ! Yes exactly. It all goes into the jello and then is refrigerated. I grew up in a Mandarin orange jello salad as well. Always at holidays and other special days. Always served with our meal. Not quite the same one, but close. It was my Moms specialty ssignature dish. Love it and still make it. I’m glad to hear someone else has the same fond memory of this dish. Definitely going to try this recipe. Thanks for the great memory. One of my favorite things about food is how it ties so closely to some of our most treasured memories! It reminds us of certain people or certain occasion! I just love it! 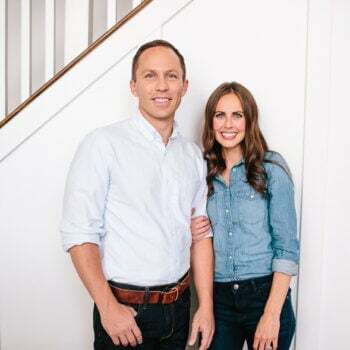 Thank you for taking time leave us a comment! Enjoy this salad! I grew up with a version of this jello dish, but my mother did include grated carrots and also a small can of crushed pineapple. And certainly no sweet topping, since it was a salad. I still like to serve it as a refreshing counterpoint to chili. It is such a classic jello salad! It is a perfect side dish for chili! I love this jello salad! I always used it as a desert, though. Have taken it to many pot-luck dinners and it is always a hit! It works perfectly as a side or a dessert! And we never have leftovers! Thanks for the feedback Chris!! It is so so good! Merry Christmas to you and your family! This looks amazing! Can it be made the day before? ?? I’d love to serve it for thanksgiving this year! Yes it can be made the day before, though I do not put the topping on until the day we are going to serve it. My mother loved Jello. One of my favorites was black cherry jello (set, then chunked up) with cool whip & sliced bananas stirred in. We had it often as a side dish growing up. Sadly my kids were never fond of Jello. Drain the mandarin oranges. According to the package directions, dissolve the gelatin in 2 cups of boiling water, then stir in 2 cups cool water. Set aside. Prepare the Cook and Serve Lemon Pudding with the egg yolks, sugar, and water indicated in the ingredient list.. Add it the orange gelatin and whisk to combine. Pour into a 9×13” pan. Fold in drained mandarin oranges. Refrigerate until set. Topping: Combine instant pudding mix and milk and stir for 2 minutes to dissolve pudding mix. Fold in Cool Whip. Spread over first layer. Note: Alternatively, use a larger 15 oz. can of mandarin oranges and reserve several for garnish on top. That sounds amazing! Trying it for Thanksgiving this year! Dissolve Jell-O in water. Stir in fruits and nuts. Pour mixture into a large pan, and let it set up in refrigerator. When set; mix sugar and vanilla into sour cream. Spread over salad. Knox unflavored gelatin may be added to the sour cream mixture to thicken it. If you want a top layer of Jell-O, save 1 package of Jell-O for the top. After the sour cream is on top of the set Jell-O, mix the last package of Jell-O according to the directions and let it cool and start to thicken. Carefully pour it over the sour cream layer. You may want a deeper layer of Jell-O on top…so you may want a large box for the top rather than a small. 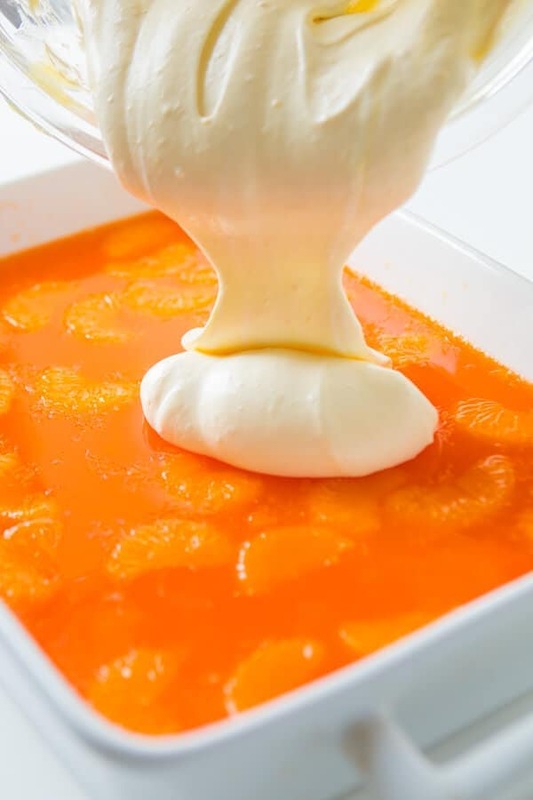 It’s a bit tricky to cover the sour cream with jello without drilling a hole in the sour cream. I try to pour the jello onto a spoon or spatula so that it doesn’t go straight down in a stream. I also tend to start in a corner and flood the top from there. I grew up in a large rural family in the 60s and Jell-O (in many different forms and salads) was on our table frequently. I love it! I have to also say that when I was nursing my babies and it seemed like everything I ate gave them horrible gas I often ate Jell-O just to fill me up. Oh that would have been so good to know as my babies suffered too! Wish I’d thought of that. Yes, I am one of those who ONLY had Jello for holidays and like you, I like to include it in our menu. I have several of those rolling eyes in my family too! Sadly, I can’t tolerate instant pudding so will have to improvise somehow. I loved your post and it brought back many happy memories! I’m so glad to hear that! I’m sure you could whip together a cook, homemade pudding or lemon curd with whipped cream would be even better! You did not indicate what size can of orange juice concentrate…….6 oz or 12 oz? oh! 12 Ounce, thank you!